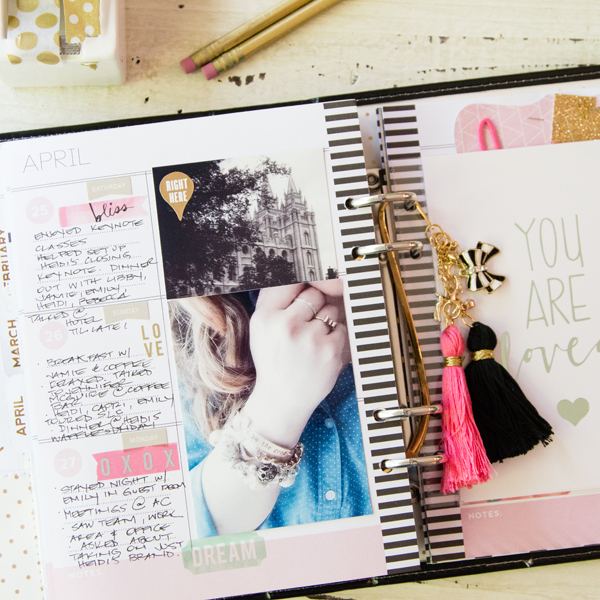 It was about time I photographed my Memory Planner and shared some pages with you! 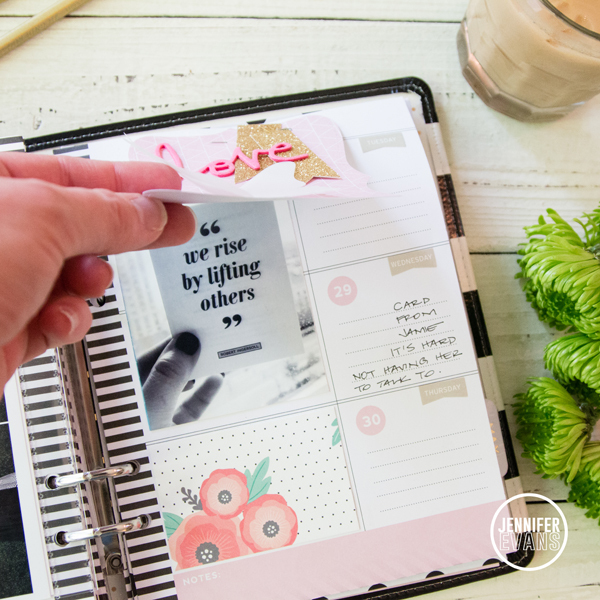 I am still learning and growing with my planner. Trying to get my groove. It is reminding me of my Smash Book days and I love that. 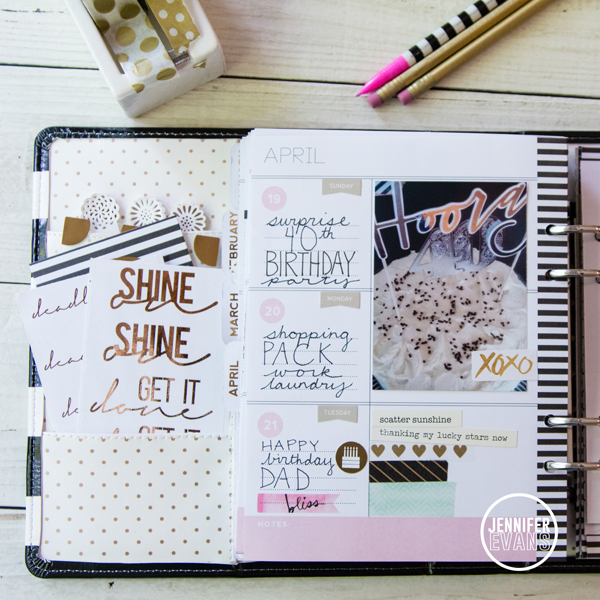 I love being able to be free to do what makes me happy in it, even if that means adding a whole lot of washi tape! Ha! At the beginning of April my family was sick for over a week. 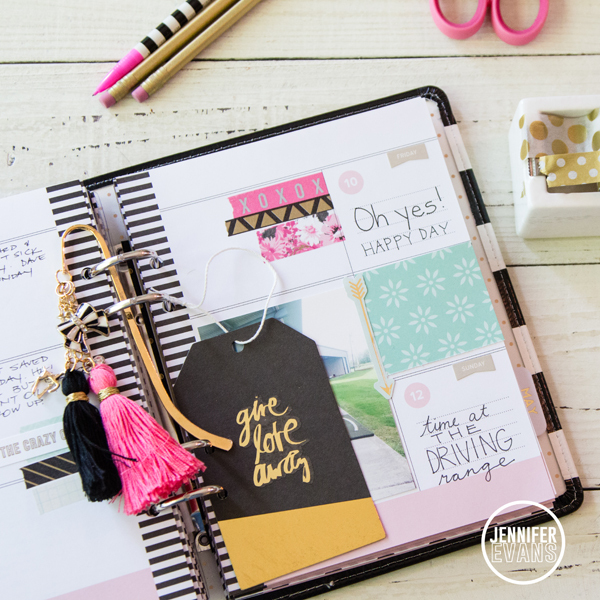 There is some hidden journaling on these pages with Project Life card-flaps. Who wants to read that every I flipped through April? Seriously, right? At the beginning of the week, I wasn't sick and I was documenting. At the end of the week - I was. 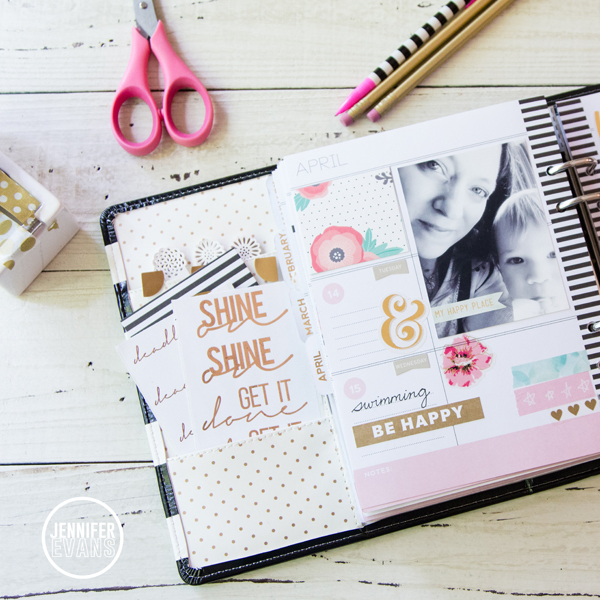 So there I started adding strips of washi tape to my planner and loving it. I now am doing it all the time! I also started adding more stickers and started getting more decorative. My sweet daughter has found my phone a few times and I realized that I need to add some of these first selfies in my planner. These days a fleeting. Let's be honest... there are days that I seriously have to sit and think hard on what good thing happened in the day. Having a strong willed child can be difficult. When there are amazing milestones, boy, you better believe I am making it one huge deal in my planner. I tell my son this too! He then can look back in the pages and see when he did well and focus on that! I am so glad for these memories documented! 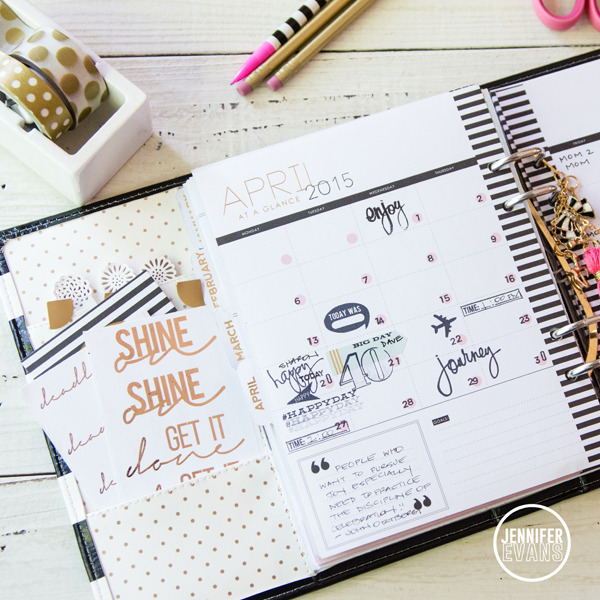 I added some Minc Gallery Prints to my planner. Some of them are small enough to put in a protector or just add as an additional page. This one I decorated the front and then added gold foiled paper to the back. 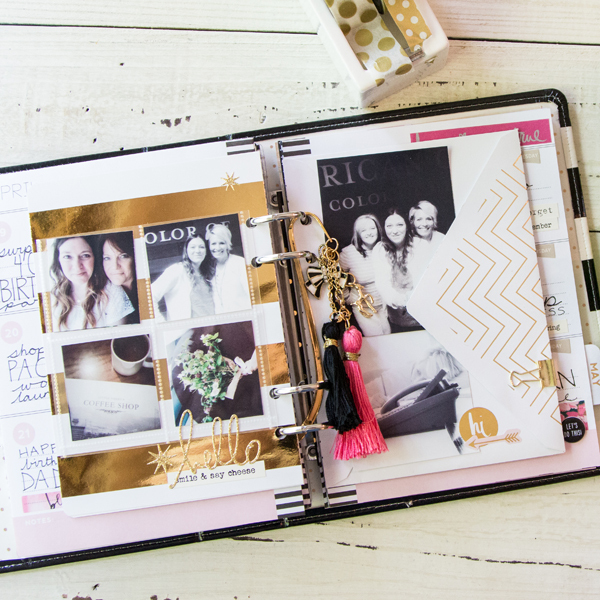 I glued a pocket page to this page so I could slide in more pictures. 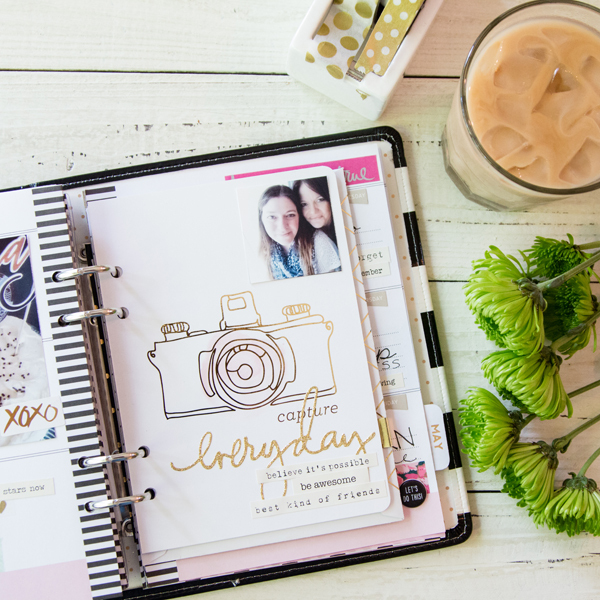 I knew I wanted more places for pictures for this week because I was visiting Heidi Swapp and Rebecca Cross the head of both Heidi Swapp and Pink Paislee brands while in Utah for Snap! I also got to meet up with Heidi Swapp Design Team Member Jamie Pate. 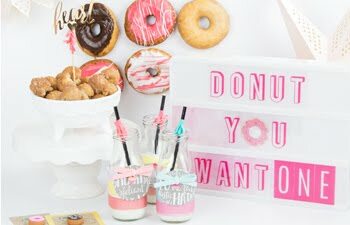 So I used a Minc envelope and slid more photos inside! 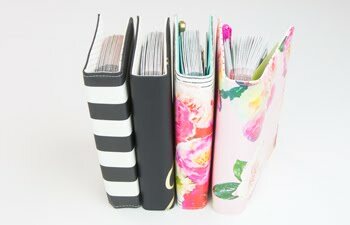 I brought my planner with me and was able to journal almost everyday! With what I didn't have time for, I made sure to finish when I got home while the memories were fresh. I can tell you right now, I couldn't tell you what we did when because so much has happened since then! I am so glad everything is written down so that I can look back and remember. I made sure to add a card that Jamie gave me when I saw her. It makes the perfect flap for a photo! 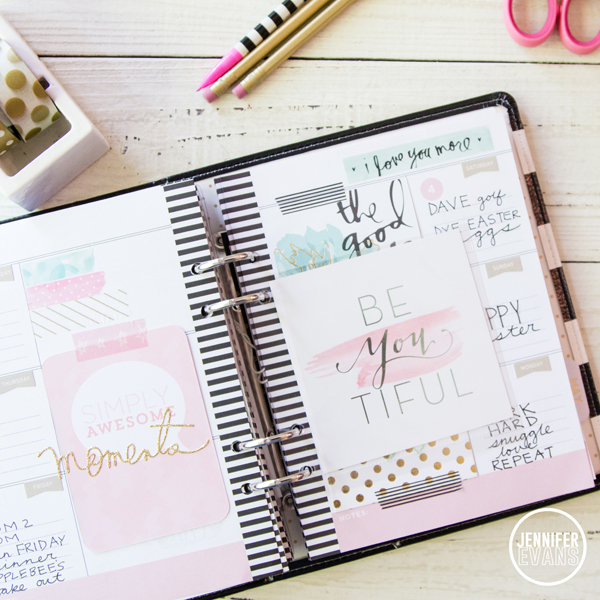 I can't wait to share with you more pages of my planner! 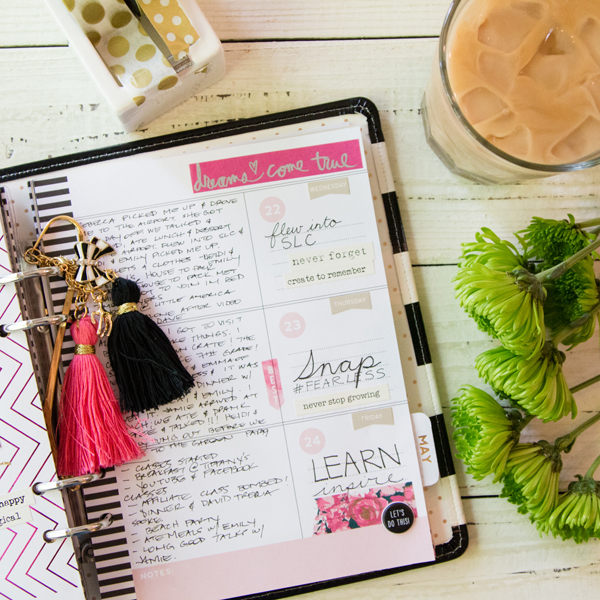 Plus, I am getting more organized in June and starting a work planner too! I can't wait to share that soon! 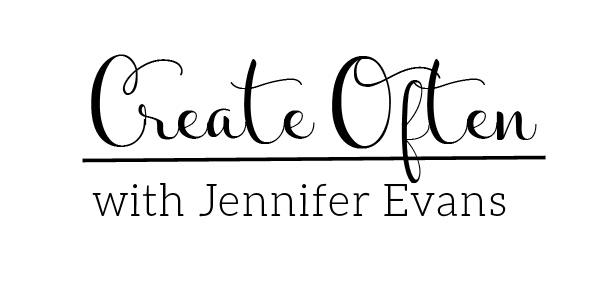 Create Often: Document today what you will forget tomorrow. I think it's time to check one of these out! 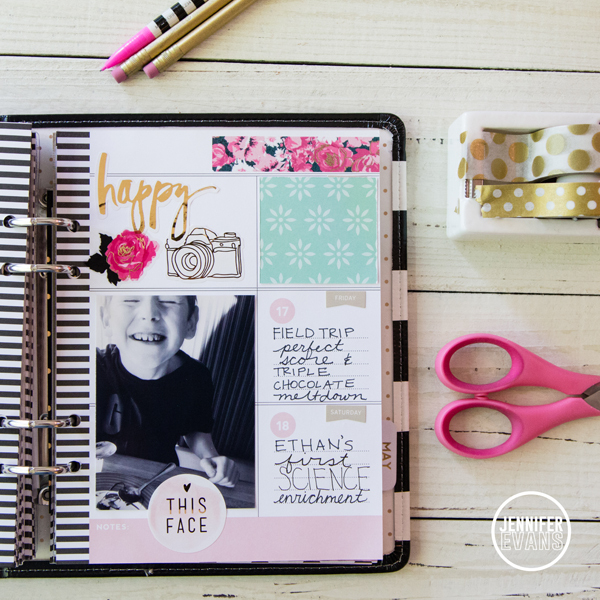 How do you decide what to put here and what to put in your project life albums? Hi Shelley! Really my Memory Planner is filled with my everyday phone photos that I might not print and put on a scrapbook page. I do think of them differently. 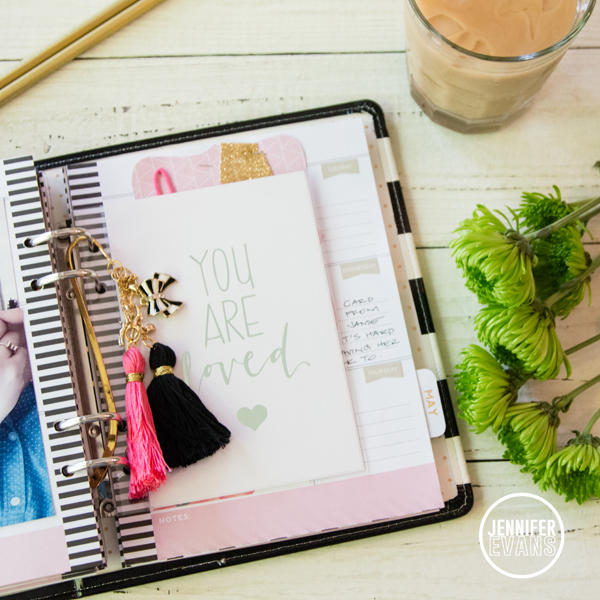 Everyone's story might be different, but for me, I am placing scrapbook pages inside individual albums almost like love letters to each child or family member. This is for my everyday documentation. I do not do a traditional Project Life album. I guess this is a smaller version of a Project 365 album in a way. But, there are no rules, nothing to make me feel bad if I skip a day ;) I am just telling my story so I don't forget. Because seriously, I can't even tell you what I ate for breakfast yesterday let alone a year from now tell you the everyday moments that I know I will miss more than anything when my children are grown.